The Italian Cultural Institute (IIC) in Sydney will host an evening dedicated to poetry on Thursday, January 31, at 6:00 pm. The occasion is marked with a trip to Australia by Italian poet Italo Testa, who has been invited as Visiting Professor by the University of NSW to coordinate a philosophy symposium on naturalism and society. Among the most recognised voices of new Italian poetry, Italo Testa will discuss his poetic works with Valentina Gosetti (University of New England) and Alice Loda (University of Technology). He will also read some poems from his latest collection, L'indifferenza naturale, as well as from other collections. Poet and philosopher, animator of journals of militant criticism and lit-blog editor, Testa is author of several collections of poetry which have received several awards, including the Eugenio Montale and the Dario Bellezza awards. According to Fabio Pusterla, in the poetry of Italo Testa “a great natural depth embraces vacillation between fullness and emptiness, without ever taking notice of the desire for happiness in existence”. “It’s like a secret and disturbing language, agitated by the tension of the gaze,” Pusterla affirms. Throughout the evening, Testa will retrace the scenarios of his poetic works, replete with transitory lands and lagoons, pioneer plants and uncultivated soil. Dotted by a dense presence of animals and plants, industrial debris and mineral waste, the poetry of Italo Testa constantly reflects on the transformations of the contemporary landscape and incorporates dialogue with the languages of video-art, cinema, music and figurative art. Born in 1972, Testa is a poet, essayist and literary critic, and lives in Milan while teaching theoretical philosophy at the University of Parma. His poetry books include L’indifferenza naturale (Marcos y Marcos, 2018), Tutto accade ovunque (Aragno, 2016), I camminatori (Ciampi Prize - Valigie Rosse, 2013), La divisione della gioia (Transeuropa, 2010) and Biometrie (Manni, 2005). 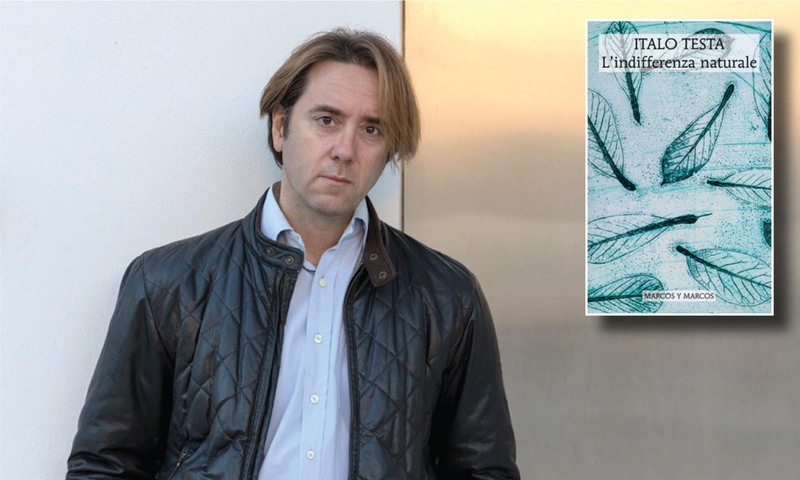 He has received the Eugenio Montale and Dario Bellezza awards for unpublished works. His poems have been translated into English, French, Spanish and Chinese and have been included in the anthology Grand Tour. Eine Reise durch die junge Lyrik Europas (Hanser, 2019). Co-director of the journal of poetry, arts and writings L’Ulisse, he is also editor of the lit-blog leparoleelecose. He runs the workshop da>verso: transizioni arte-poesia at the Academy of Fine Arts in Brera, dedicated to the interaction between multimedia languages and contemporary art, and the series of artworks coincidenze. In collaboration with Paul Vangelisti and the Otis College of Design and Art, he curates the 2x2 poster journal. He has published several essays and volumes of contemporary philosophy and critical theory, among them Teorie dell’argomentazione (Bruno Mondadori, 2005), Ragione impura (Bruno Mondadori, 2006), La natura del riconoscimento (Mimesis, 2010) and I that is We, and We that is I (Brill, 2016). ‘Natural Indifference’: A meeting with the poetry of Italo Testa will be held at the Italian Cultural Institute, level 4, at 125 York Street, Sydney, at 6:00 pm. For more information visit the Italian Institute of Culture’s website. This story appeared in the Monday January 28, 2019 edition of La Fiamma.